Bats and Witches and Pumpkins, Oh My! With school, dance, and everything else back into full swing, our day planners are filling up fast. It’s so easy to let the holiday season fly past us, and before we know it, it will be 2018! I’ve put together a few fun, easy, (and inexpensive) Halloween craft ideas for you to do with your family this month. I hope you take the time to look through it and plan a craft night with your kids! This one is super simple and would be perfect for your little ones! 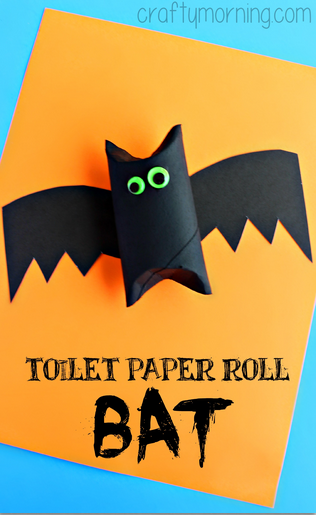 You’ll need a toilet paper roll, black construction paper, black paint (or whatever color bat they want) google eyes, and glue. You could also use card stock. Hobby Lobby sells individual pieces of card stock in many colors for around 80 cents. Just a helpful hint. First, fold the two edges in to make the concave shape. Then have your kiddo paint it! While it’s drying, cut out your wings. Glue the wings on the back and add your eyes. That’s it! You could also add string to the edges of the wings so that you could hang it. These would make great decorations for your house or even outside in a tree! This one is super cute! You’ll need a paper plate, construction paper or card stock, markers or paint, and glue. You’ll start with your paper plate. Color or paint it whatever color you’d like. Then trace your hands four times and cut them out. These will become the witch’s hair. Next, make your hat. Again, let your kiddo be creative with what colors they want to use. Glue your hands and hat on next, leaving enough space for a face. When they’ve been glue, all that is left is to draw on the face and eyes. Again, this would look super cute as a decoration around your house or up on the fridge! This one is so pretty and would fun for your older kids! 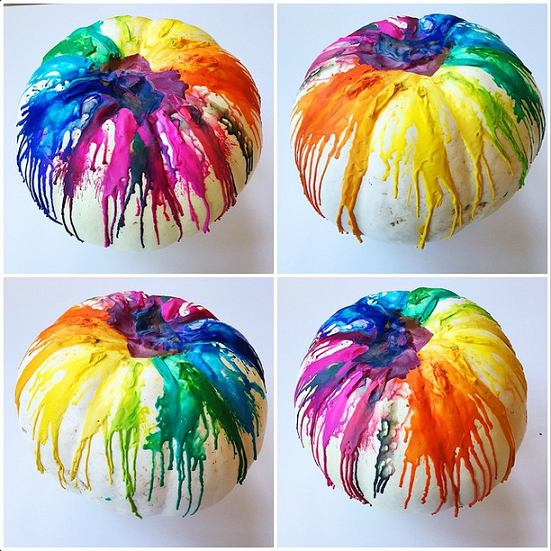 You’ll need a real white pumpkin (or orange), tacky glue, lots of crayons, and a blow dryer. Remove all the paper coverings from your crayons. Then, pick the colors you want to use (about 16, depending on the size of your pumpkin). Cut each crayon in half. Using the tacky glue, glue your crayons onto the pumpkins. Allow about 10-20 minutes for the glue to dry. Then use your blow dryer to melt the crayons. This might take some time, so don’t give up if they don’t seem to be melting right away. I don’t know about you, but after all that crafting, I could use a snack! I bet your kids could too! 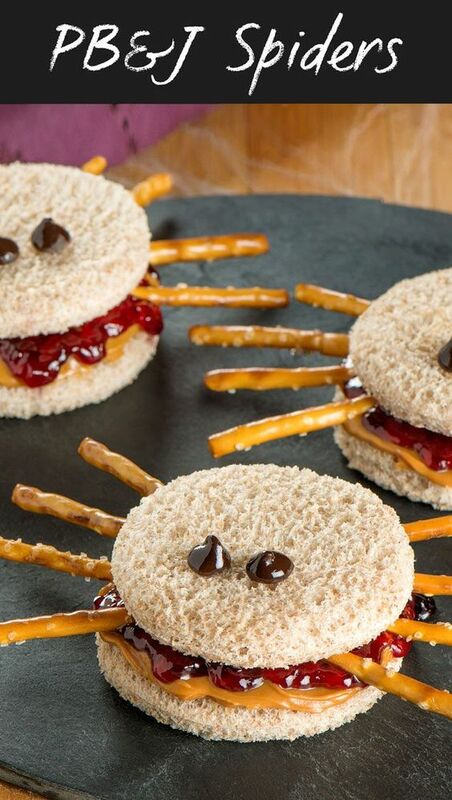 Here is a super simple, super cute snack you guys can put together to keep the Halloween theme going. All you need is PB & J, bread, pretzel sticks, and chocolate chips! Now throw in Hocus Pocus or Casper and enjoy some time with your family. We all need that!